TNT and TBS have teamed up to release their fall 2017 premiere dates, which don’t kick off until mid-October. That’s when the second season of con-artist drama Good Behavior premieres. On Sunday, October 15th at 9:00, audiences will get to catch up with manipulative thief Letty (Michelle Dockery) as she continues living a life where she’s one bad decision away from imploding. In addition to Dockery, Good Behavior stars Juan Diego Botto (Childish Games), Terry Kinney (Oz), Lusia Strus (Restless), and Joey Kern (Super Troopers). TBS, meanwhile, focuses more on its growing comedy slate this fall. The return of acclaimed Search Party breaks the seal on the network’s fall, airing its 10-episode second season with two episodes a week. 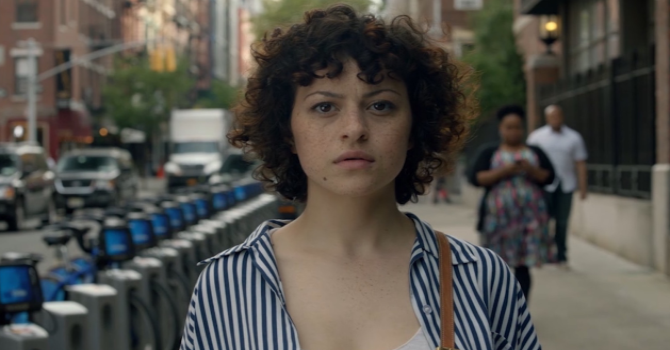 Having aired its entire first season across the span of one week, the series, which stars Alia Shawkat (Arrested Development), will premiere season two Sunday, November 19th at 10:00 and 10:30. Tracy Morgan’s return to series television is also on the TBS docket, as The Last O.G. premieres Tuesday, October 24th at 10:00 and 10:30 before settling into the 10:30 slot the following week. The series follows ex-con Tray (Morgan), who is released from prison after doing a 15-year bid and finds himself shocked at how much things have changed. The Last O.G. co-stars Tiffany Haddish (Girls Trip) and Ryan Gaul (Identity Thief). Additionally, TBS will be premiering rap-based celebrity game show Drop the Mic and Snoop Dogg Presents The Joker’s Wild, an update of the classic game show Joker’s Wild, this fall, though no premiere dates were provided at this time. The network’s late summer premieres People of Earth and The Guest Book will be airing into September, as well.